Everyone wants to avoid the big C, cancer, at all costs, but do those anti-cancer diets, fruits, or other “natural” substances really work? Is there really anything you can do to avoid cancer? The answer is yes….and no. 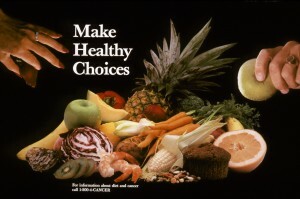 NO – You cannot cure or prevent cancer by avoiding certain foods such as GMO’s, processed foods, sugar, or any other food. NO- There is no “miracle cure” or preventative measure that Big Pharma, doctors, or anyone else is holding back because they can’t make money on it. 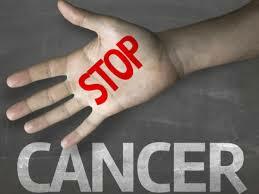 YES – There is only one sure fire way to help prevent cancer, but even this is no guarantee. It’s a great bet, but nothing in this life is guaranteed 100%. Of course, there are some things that are well known for being a cause for cancer. Things such as cigarette smoke, tobacco products (such as chew), asbestos, certain chemicals, excessive alcohol consumption, coal, estrogen therapy, hepatitis, and radiation. Even use or exposure to these things is not a 100% guarantee that you WILL get cancer, only that your odds are tremendously increased. In the same way that scientists know that exposure to or consumption of certain substances can greatly increase your risk of developing cancer, other things are known to reduce the risk of cancer. Again, this is not a guarantee that if you follow these guidelines that you will be “cancer proof” , however, it gives you better odds for not developing cancer. Contrary to what you might read on those click bait sites (“GMO’s Known to Cause Multiple Cancers!”) the truth is that, despite being eaten by millions of people for more than 20 years, there has not been one single case of cancer (or any other disease) being caused by these foods. Most people fear them because they don’t understand them. GM crops use fewer pesticides than non-GM crops. Herbicide use is usually increased, but since herbicides focus on certain plant aspects that humans do not have, there is relatively little to affect humans. Of course, this doesn’t mean that we should drink a big glass of herbicides along with our meals, however, there really isn’t anything to fear from the very low levels of herbicides found in conventional foods. 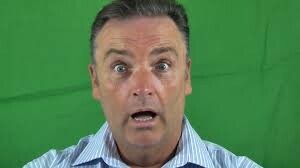 We bet you have seen at least a dozen articles screaming “Sugar Feeds Cancer Cells”. Scientists know that every single cell in your body relies on sugar to operate normally. Every single cell, including cancer. This isn’t to say that sugar shouldn’t be controlled in your diet. 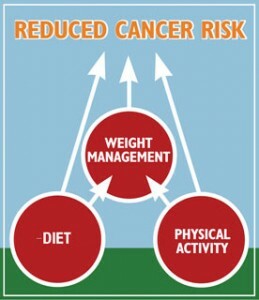 Diets that are high in sugar usually lead to obesity, which increases your risk of cancer. However, the idea that, if you could somehow remove all processed sugar from your diet, you would never get cancer is completely unfounded. 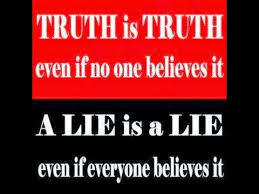 There is not one shred of evidence that you will get cancer from aspartame, your deodorant, or from eating a McDonald’s now and then. Why do many websites claim that these things are cancer causing? It sells. Pure and simple. You don’t need any miracle fruit or eat tons of a certain vegetable to prevent cancer. You simply need to follow this little 4 step plan. Yes, it really is this simple. It doesn’t matter if they are conventional or organic, since both use pesticides, the fact remains that a diet high in fruits and vegetables has been proven over and over to help prevent cancer. Fruits and veggies contain carotenoids, vitamin C, lycopene, and antioxidants that keep your immune system functioning properly and protect you from mutating cells, which is the root cause of cancer. By the way, eat the whole fruit or vegetable, not just juice. Getting plenty of fiber is the best way to avoid colon cancer. 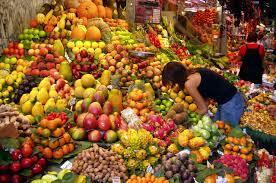 If you do nothing else, simply adding more produce to your diet will reduce your risk of cancer. True story. 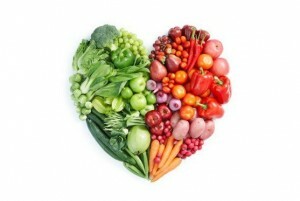 Eating a vegetarian or vegan diet is NOT the best way to fight cancer. 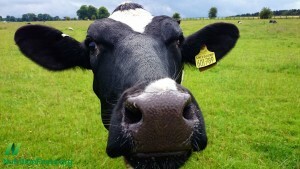 Humans are omnivores that require a certain amount of meat and dairy products in their diets for optimum health. This doesn’t mean, however, that you should go all out Paleo. A diet high in red meat and processed meats, such as hot dogs and bacon, have been shown to increase the risk of cancer. Try going meatless two or more days each week. Make meat a side dish, rather than the main course. Eating fats in moderation are one of the keys to a healthy diet. Avoid trans fats and partially hydrogenated fats or oils. These are well known for increasing the risk of cancer. This means avoiding most fried foods and bakery items, such as donuts and cakes. Make these the occasional treat, not something you eat every week. 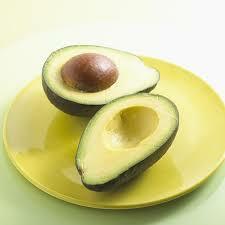 Healthy fats are olive oil, avocados, dairy products such as cheese and milk, nuts, and seeds. You should also try to include fish, such as salmon or tuna, in your diet twice each week, as these fish are loaded with healthy omega-3 fatty acids. 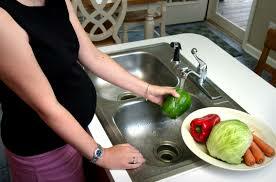 Remember to wash all produce to remove as much of the pesticide residue as possible. 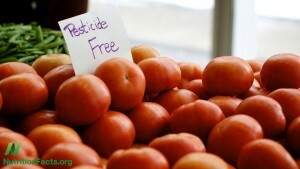 Keep in mind that organic produce also has pesticide residue, so wash them also! Eat raw produce as much as possible and steam the rest, with the exception of tomatoes, which have increased levels of lycopene after cooking. Do not fry under extremely high heat. Do not “blacken” meats, and always store cooking oils in dark colored containers or inside cabinets, away from heat and sunlight. Grill or steam meats and veggies as much as possible. Of course, there are other tips for avoiding cancer, such as exercise, drinking alcohol in moderation, and trying to maintain a normal weight, but so far as diet goes, if you follow the four steps above, you are way ahead of the cancer game, no doubt about it. Why don’t you see these simple eating habits being put in bold letters on most woo websites? Because there is no money in it. True story. Many people believe that eating rice, along with a bit of meat and lots of vegetables, is a healthy alternative to Western meals that are often loaded with fat and sugars. 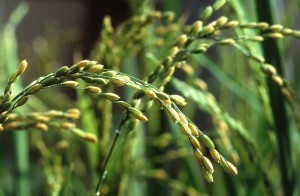 However, did you know that studies have found that rice is typically contaminated with arsenic? This is especially frightening when you consider that most people feed rice based cereals and snacks to infants and children. Those who are allergic to other types of milk are given rice milk as an alternative. Just how dangerous is the rice in your Chinese takeout? Let’s take a look at the facts. Inorganic arsenic is a toxic trace element that is often found in rocks, soil, and water. When found in this form, inorganic arsenic is the most toxic. Organic arsenic is found in many plant and animal tissues. While both types are naturally found in our environment, the accumulation of inorganic arsenic is becoming a problem due to pollution. In this article, we will be addressing the problem of inorganic arsenic in rice. Why is Rice So Contaminated? Because arsenic is found in rocks, soil, and water, rice tends to absorb arsenic more than crops grown in drier climates or with less water. Arsenic pollution is increasing in our soil and water due to pesticides, herbicides, industrial waste, coal burning plants, smelting, and phosphate based fertilizers, and wood preservatives. Arsenic drains into the soil and groundwater, which is then used on crops. Since rice is grown in swamp like conditions, the plants are able to absorb much of what is in the soil and water, unfortunately in this case, it’s arsenic. Do I Have Reason to be Concerned? Yes. 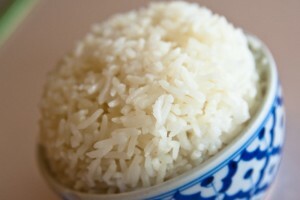 If you or your children consume large amounts of rice, this could be a problem for you and your family members. 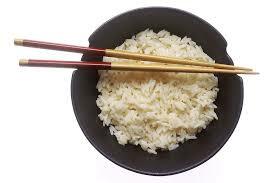 Many people who consume Asian based diets, or Asian people themselves, consume great quantities of rice. Also, persons who need to consume a dairy free or gluten free diet often consume large portions of rice as an alternative. Young children are also at a greater risk because of their small body size. Many infant and baby foods are made from rice, as well as brown rice syrup, which are often used as a sweetener in baby formula. What are the Health Risks of Arsenic? Our bodies are able to handle small amounts of arsenic with no long term effects; however, for those who consume large quantities, arsenic is extremely toxic. It can cause a wide range of negative health problems and even death! The best way to greatly reduce the arsenic in rice is to soak it first in clean water. Drain the water out after a few hours, and then cook it in another batch of clean water. This alone can cut the amount of arsenic in rice by as much as 57 percent. Keep in mind that brown rice is higher in arsenic than white rice. Also, rice grown in areas around the Himalayans, such as North India, Nepal, and North Pakistan, have lower levels of arsenic. Choosing aromatic rice, such as jasmine rice or basmati rice, will help to cut down on the amount of arsenic in your meal. If you have small children or infants that regularly eat rice snacks, cereals or formula, be certain to limit the amounts that they consume each day. 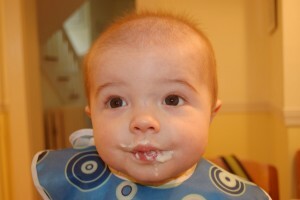 Consider changing your baby’s formula to one that does not include rice or brown rice syrup. Eating rice in moderation is a healthy part of a varied diet. Remember, the dose makes the poison. Enjoy rice dishes in moderation and everything will be just fine. If you love reading about the latest health news, then you are probably very familiar with the so called “Dirty Dozen” list. If not, the dirty dozen is an annual report from The Environmental Working Group that tests various fruits and vegetables for pesticide residue. The Dirty Dozen is their interpretation of the data and which produce items tested highest for containing pesticide residue. The problem with this report is that it is actually loaded with pseudoscience (typically referred to as “woo”), questionable methodology, as well as plenty of misinformation. Let’s look at the top 5 things they will never tell you about that dirty dozen list. Scientists at UC Davis found in a 2011 analysis of the “dirty dozen” that it was seriously flawed. These scientists discovered that a consumers’ exposure to what the Environmental Working Group determined was the 10 most frequently found pesticides list were at such low levels that they were “negligible.” They also found that the methodology that the EWG uses was insufficient to allow for any real ranking among the produce being tested. In short, the EWG could rank foods and pesticides all day long, but it didn’t make any difference because the amounts of residue contained were so small that they were not worth mentioning. One of the things the EWG fails to note on their dirty dozen list is the quantity of food you would have to eat to get any real impact from the pesticide residue. For example, strawberries always make this list; however, the EWG doesn’t mention that a child would have to eat more than 1500 strawberries in one day to experience any type of negative impact of pesticides. Um….we don’t know about your family, but no matter how much we love strawberries, we are NOT eating 1500 of them in a week, let alone in one day! The USDA released a 2014 report that looked at this exact problem and found that more than 99 percent of all produce had residue levels FAR below safety levels set by the Environmental Protection Agency. So while the EWG did find pesticide residue on produce, the levels are so low that they don’t make a difference. This is fear mongering on the part of the EWG, nothing more. Many people mistakenly believe that organic means NO pesticide use, and the organic produce industry has done nothing to dispel this belief. The fact is, both organic and conventional farming methods use pesticides. 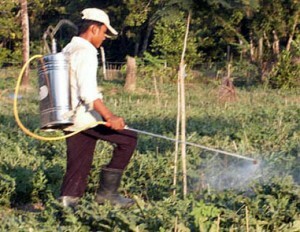 Yes, organic farmers use pesticides, some of which are more dangerous than synthetic pesticides. Conventional farmers must follow strict rules from the EPA, which tell them how many days must pass between the time that the last pesticide is applied and when they can harvest their crop. This ensures that there is a minimal amount of residue present on your food. The EWG suggests that governmental agencies are lax in their oversight of pesticides, their usage, as well as being too quick to approve new pesticides. The truth is that the EPA often takes years to approve new pesticides. Every single pesticide is tested and reviewed periodically to ensure food safety. You do not have to avoid any produce! Everyone can benefit from the healthy goodness of fruits and vegetables. Whether you choose organic or conventional, no one can deny that eating more produce is something everyone benefits from, so don’t let this “dirty dozen” list scare you away from eating certain foods if you can’t find “organic” versions. Eat more fresh produce from Mother Nature and don’t let the naysayers make you turn away from the earth’s bounty.